Irrigation season has come to an end and as we look back at this exceptionally dry summer and evaluate the effects on our local rivers and streams, one of our partners really stands out. 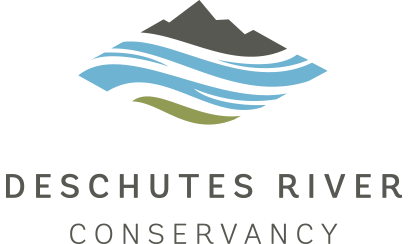 The Deschutes River Conservancy would like to recognize Tumalo Irrigation District for the excellent effort it made in assuring both their patrons and Tumalo Creek were well served during a challenging year in which there was virtually no rain all summer. Water management in Tumalo Creek can be difficult because of daily fluctuation in flows, complex water rights and over-appropriation of its water. Tumalo Irrigation District has made continuous improvements to its system over the past several years that have allowed it to leave over 14 cubic feet per second (cfs) – or about 105 gallons per second – in Tumalo Creek during the hottest part of the summer and an average of 27 cfs over the full season. Thank you so much for your dedication to water stewardship in Central Oregon!